Autumn is upon us with all its promise of handwork joys. For us it is also an opportunity to meet some of you again as we take to the October - November markets, this year in central France and near to Lyon. Lace-weight - a new crocheted shawl designed by Annette Petavy, The Lady in Red shawl, a seductive pattern full of contrasts, trebles and lace stitches, subtle and intense colours, finesse and strength. See Annette presenting her new Lady in Red shawl on youtube. It is in French but you can get a good look at the shawl and of course our pattern is in English. 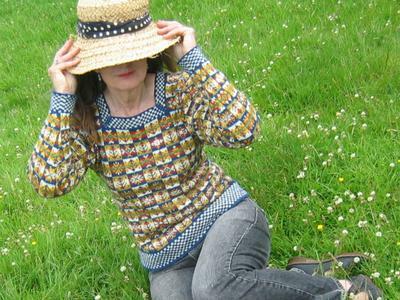 Poll Dorset - we are relaunching another lady, this time the Lady Franklin sweater, a traditional fairisle pattern revisited by Kate Wallace and knitted in 8 naturally dyed colours. 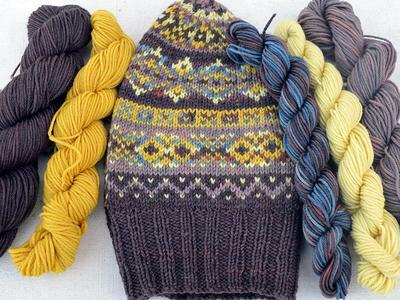 Merinos d'Arles - Saudade, Ysolda Teague's Slouchy beanie in 5 Merinos d'Arles colours, with a printed pattern from Ysolda. October 27th-29th. 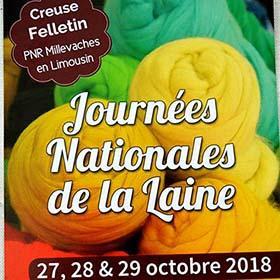 Felletin Come and see us and 130 other woolly stands at the magnificent annual Les Journées de la Laine in Felletin in the central French department of Creuse. More information on this link which features our 250m lace-weight rack. which we will bring with us as always and all the rest of our naturally dyed wool, new kits and a few more besides. 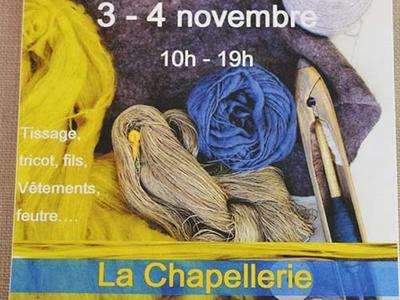 November 3rd - 4th Chazelles sur Lyon. In easy reach of/from Lyon at the fascinating hat factory turned museum, we will be with 12 other stands from the Assn. Toison d'Art. Delights available will be lots of choices of wool, merino, poll dorset mohair, angora, clothing in felt and weaving. I am struggling to find a short crisp motto that will characterise our work, ethos and products. Including the fact that we use traceable wools, natural dyes and care about those we work with plus the planet. Phew not easy to get that into 6 - 8 words, so I need some help. I will launch a competition through a blog entry probably when we get back from Lyon, second week of November. Look out on our Instagram and/or Facebook pages for announcement. Meanwhile put those thinking caps on.